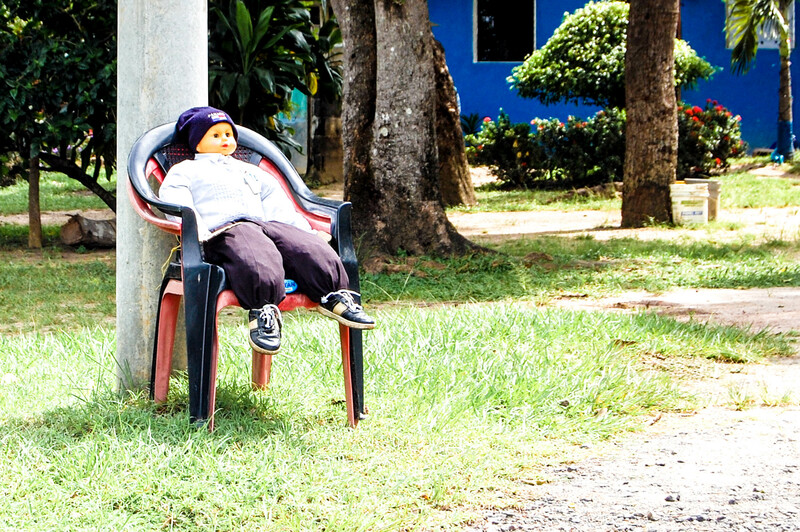 December in Panama. Ahhh, yes we are still running around in flip-flops and bathing suits! 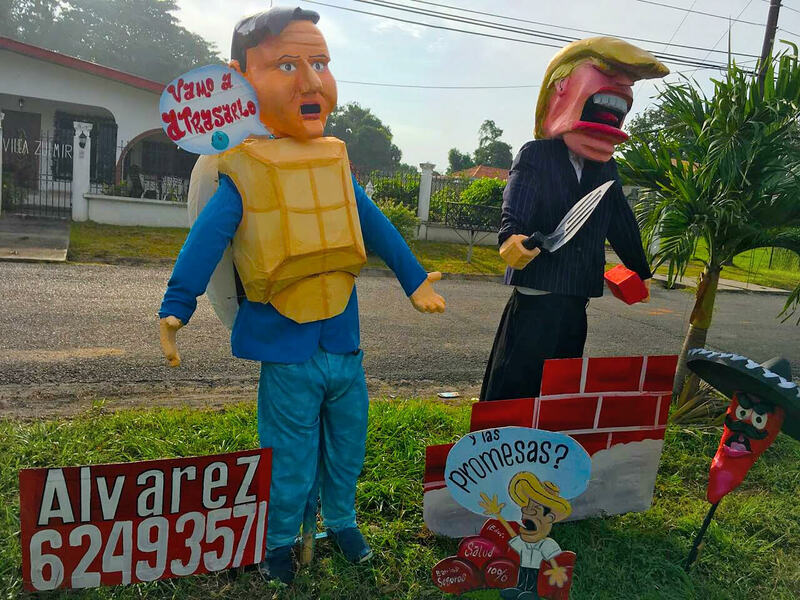 However, you don’t have to be very observant to notice the strange scarecrow-like creations popping up in front of houses and shops. 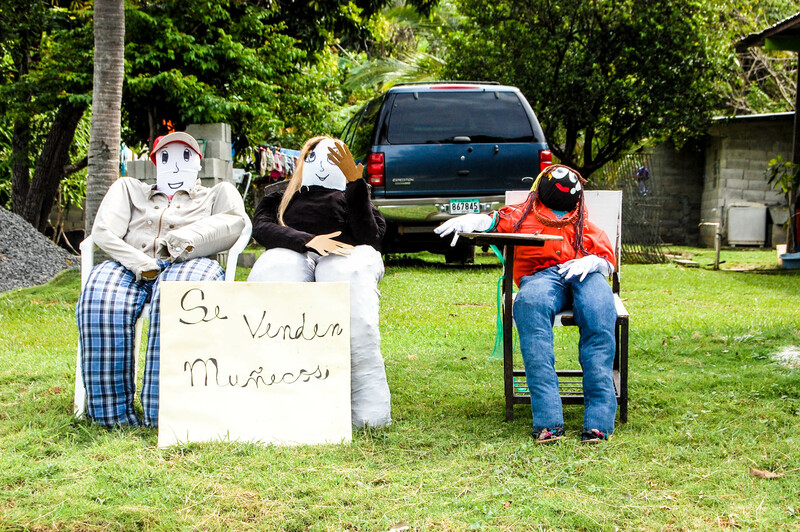 These Judas dolls or muñecos as they are called are incredibly cool effigies. They are, sometimes, downright hysterical and I look forward to this tradition every year! I mean, seriously, Donald Trump building his wall five minutes from my condo is a laugh riot! Toward the end of the year, families create or buy these life-sized dolls to represent anything negative from the year, anything that they don’t want to follow them into the new year. At midnight on December 31, the dolls are burned to the ground — and the bad memories go with them! Go ahead; you can build your own doll and get in on the fun! Many of the dolls are made to look like someone, in particular, perhaps a famous actor or politician. Take your time and put some effort into it — everyone else does! Dress it in clothes from an ex-lover or maybe in something you were wearing on a day you’d like to forget. Adorn in its symbols of missteps you took this year or of habits you’d like to shed. Then…burn, baby, BURN! I can’t wait to start working on my doll this week! The symbolism of this tradition is so powerful and meaningful, and this is my fourth year to participate. 2018 was a great year in many ways, but it was also a very tough year. As always (because this is how we roll! ), we have managed to power through the challenges. I’m starting with a hand-written list of everything I look forward to putting behind me — events and moments from 2018 that have no place in my new year. This December 31, with the fireworks blasting all around me, I’m going to light that list and my Judas doll on fire and pave the way for an impressive 2019. We wish you the best of everything in this new year — and we hope that 2019 is the year you visit us in Panama! Want to Learn More About Panama? 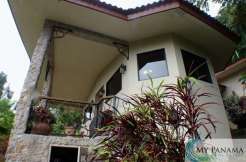 We send out content-rich weekly updates on new property listings and fun, helpful information about living in Panama. 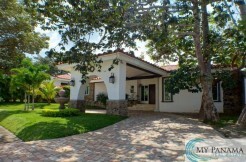 Be the first to hear about fresh property listings in Panama. Canadian Exchange Rate Got You Sidelined? Six things to Consider. What’s up with the Sleeping Indian Princess and her Pink bra in El Valle?